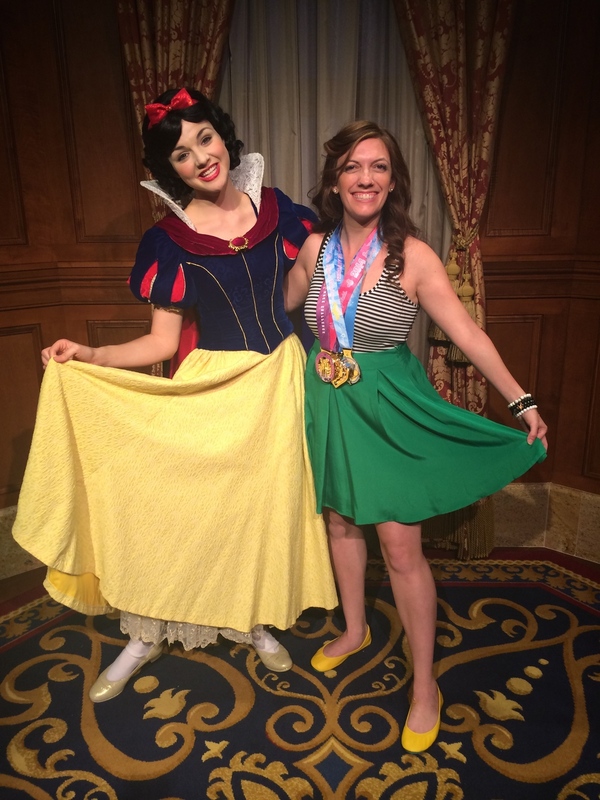 After the half marathon, I went back to my resort, showered and napped and then made my way to the Magic Kingdom. 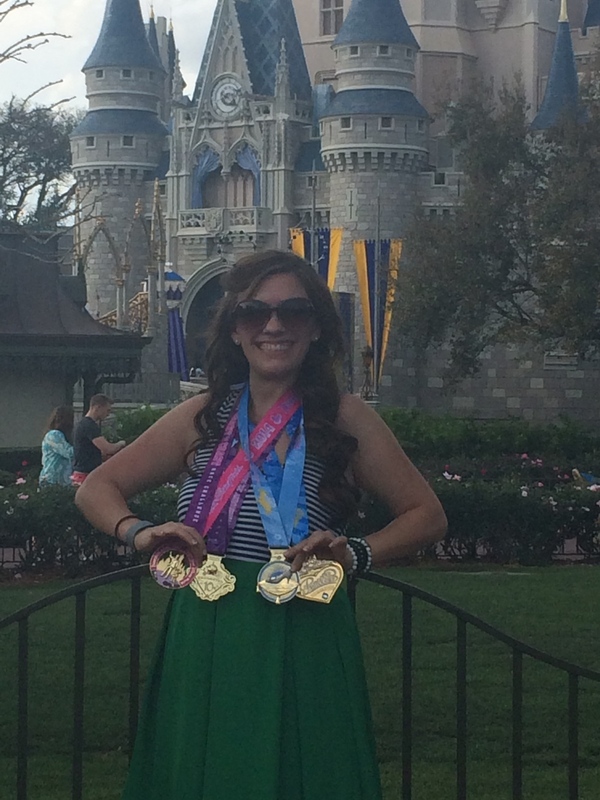 Had to get out and show off my bling! 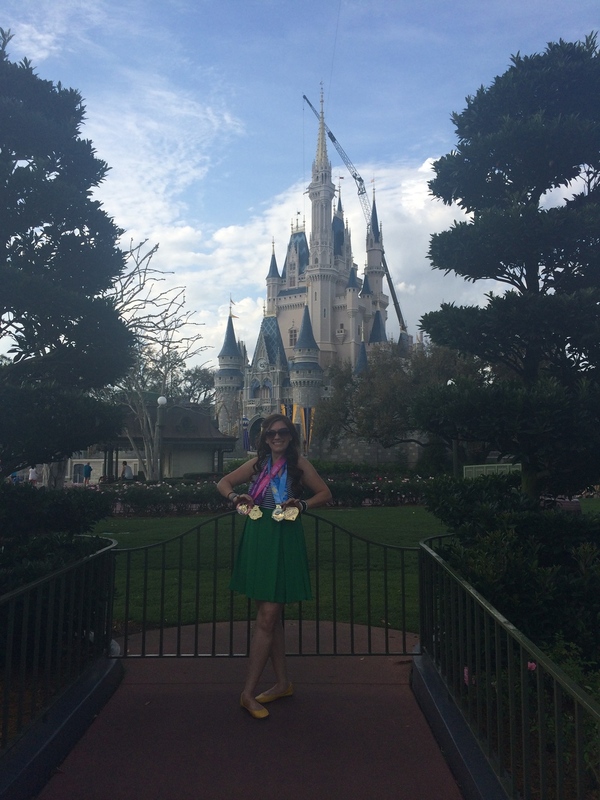 First up was an obligatory photo near the Castle. 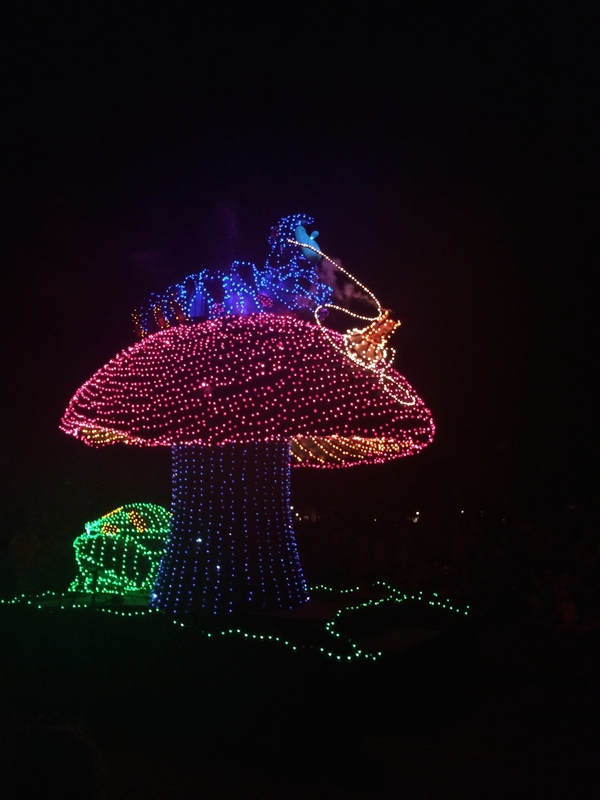 Note to self: photoshop out the crane at some point - it's not very "magical." 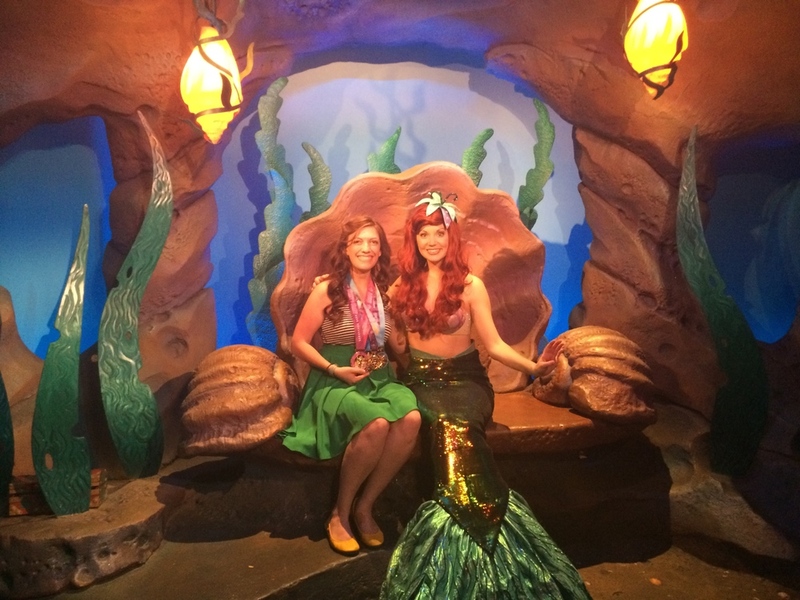 Ariel had already seen my Enchanted 10K treasure, but I had to share all the sparkly, gold, trinkets with her again - since there were four now. 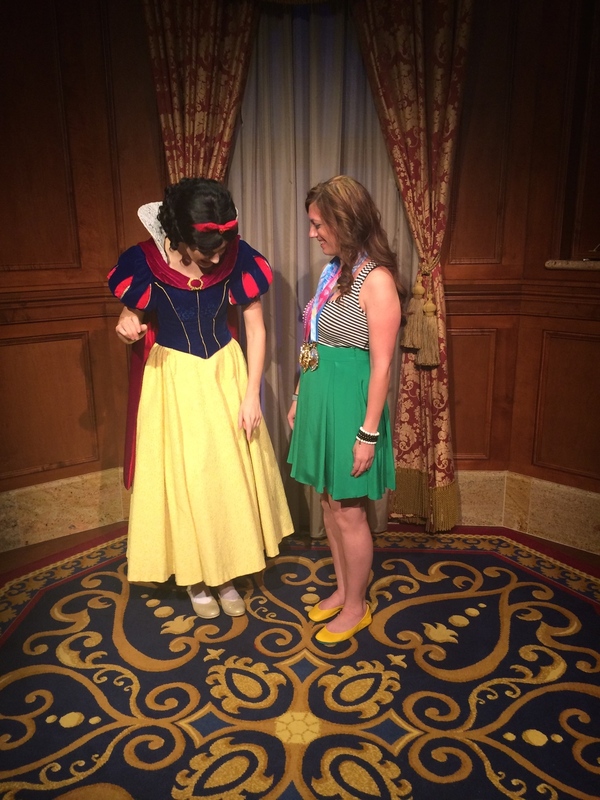 Continuing with the princess theme, I talked to Snow White. 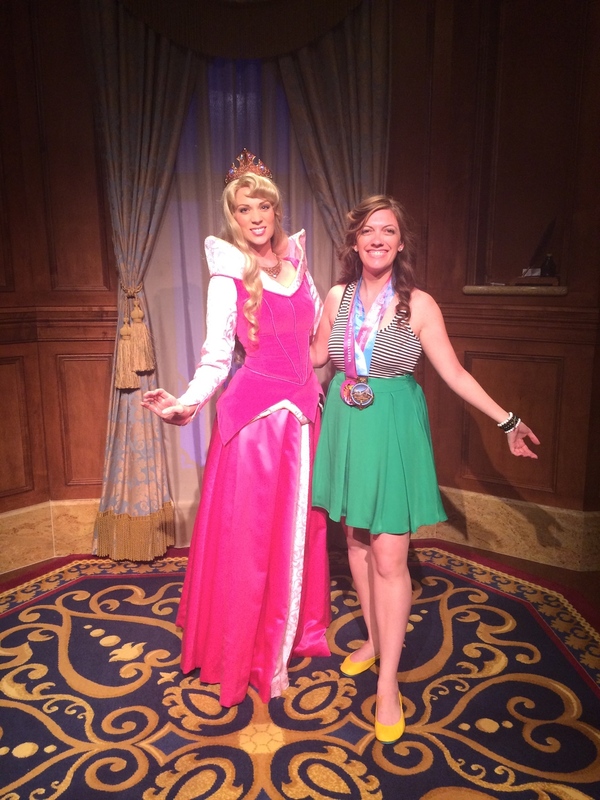 We talked about my shoes more than my medals, though. We both were wearing golden shoes. Yay, Tieks. I saw Aurora again. The pink of my ribbon matched her dress. This was before Merryweather turned it blue, of course. 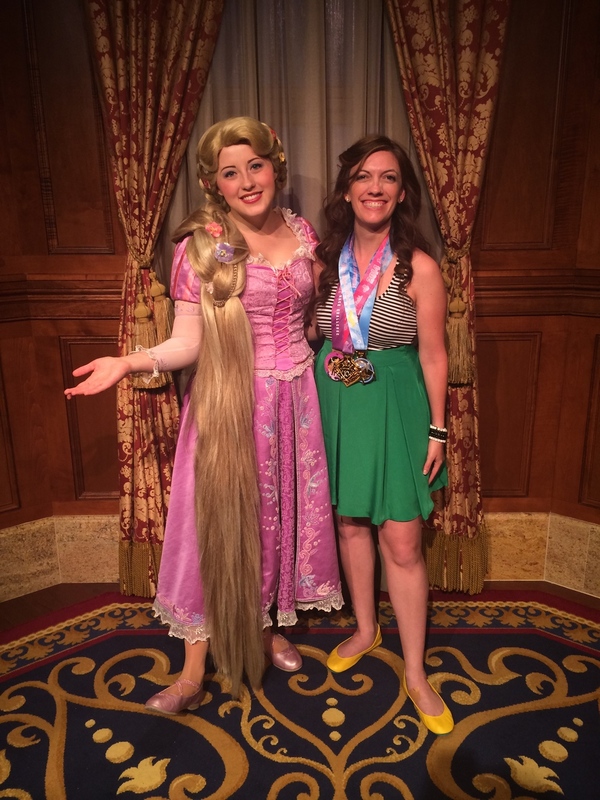 And then Rapunzel. And I thought my hair was long. This gal would have a heck of a time racing with that much hair. 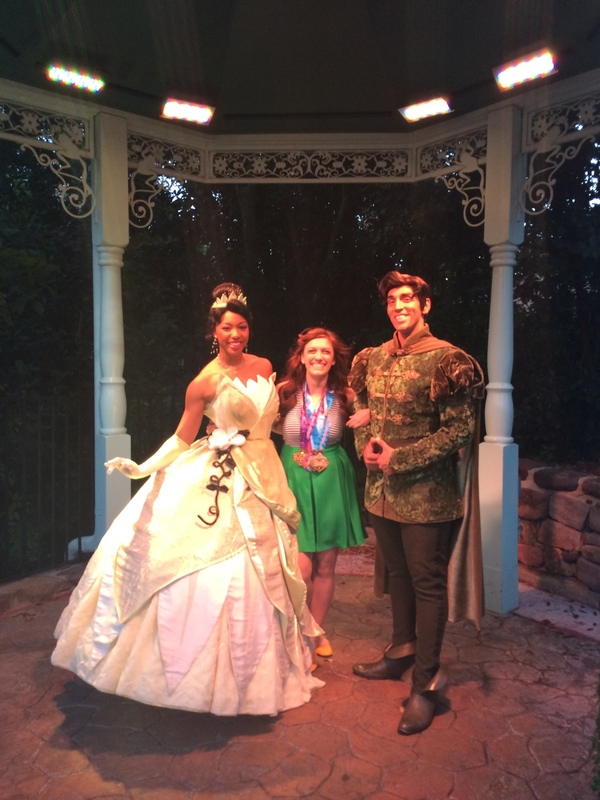 I met with Princess Tiana and Naveen last. 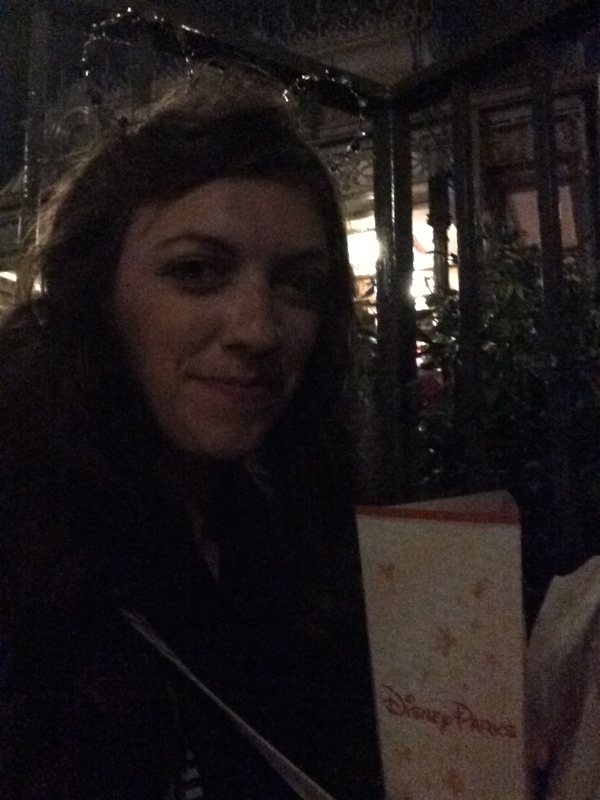 After leaving the Liberty Square area, I made my way to Adventureland. 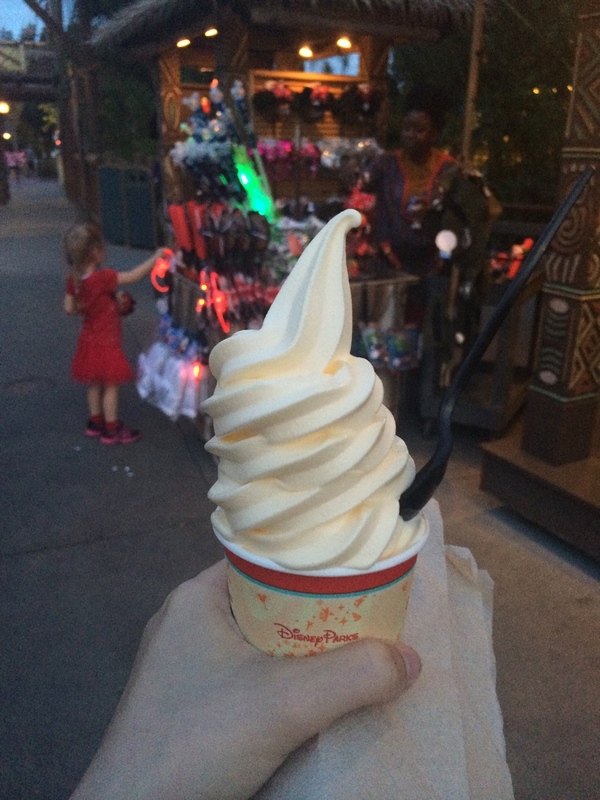 No trip to the Magic Kingdom is complete without a Dole Whip, of course. 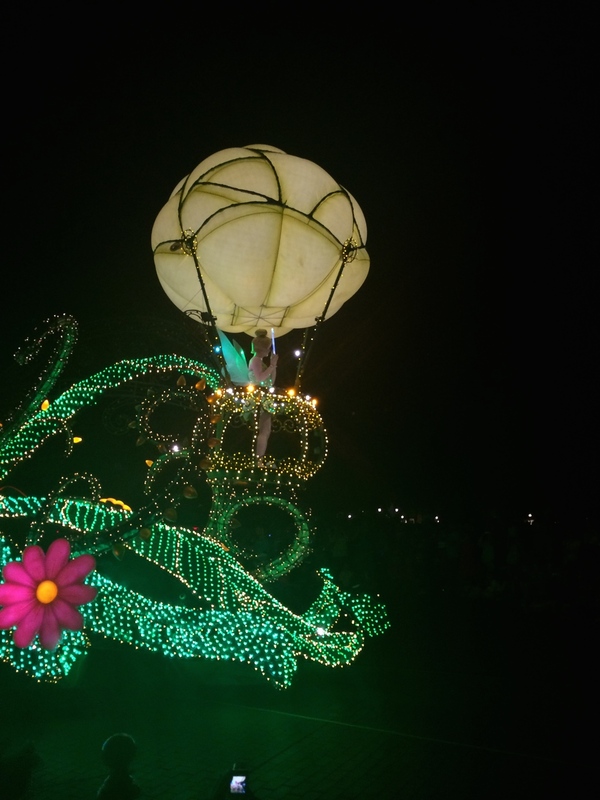 Then, I grabbed a spot for the Main Street Electrical Parade. It was lovely, as always (and shiny!). After the parade, I grabbed some popcorn and moved to a different, more comfortable spot, for the fireworks (one of the Rose Garden Paths). 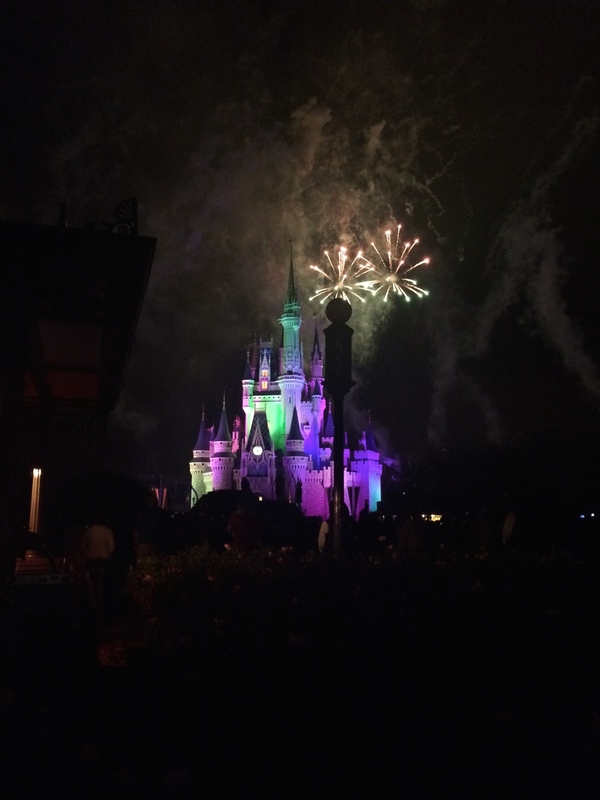 I was able to watch the show on the castle & then the fireworks themselves. 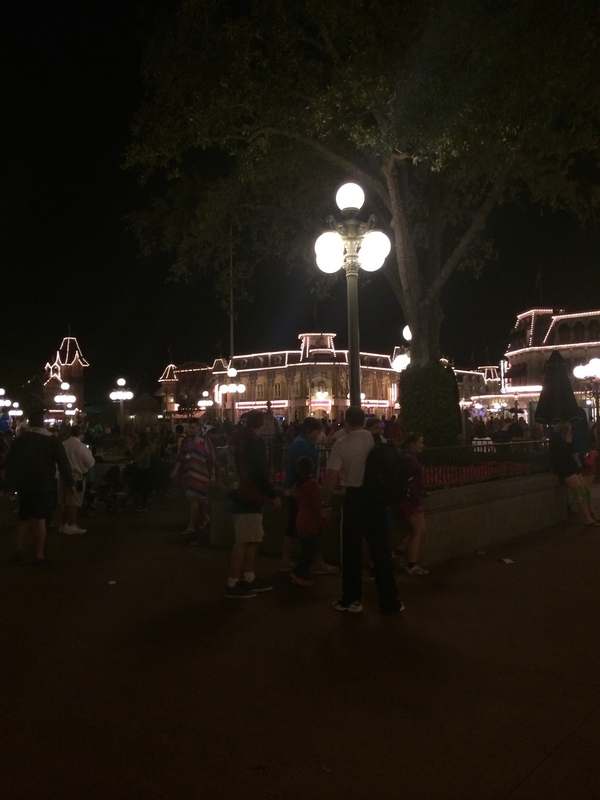 Goodbye Main Street USA. See you in May!